SWEET TOOTH by EMI LENNOX! 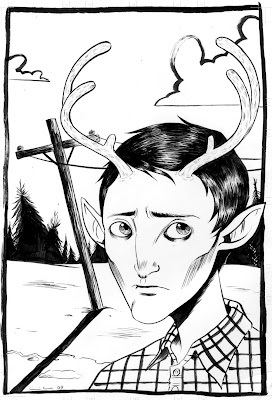 Here's a great new rendition of Gus by Portland cartoonist Emi Lennox. I've talked about how much I like Emi's work before, and right now she's getting ready to put together her first mini-comics, and needs your help. Emi is taking donations on her blog to help with the costs of printing her first books, so go help a rising comics talent get her start! She will do a sketch f0r anyone who donates $5 or more!